We were so excited about staying in the Houseboat. 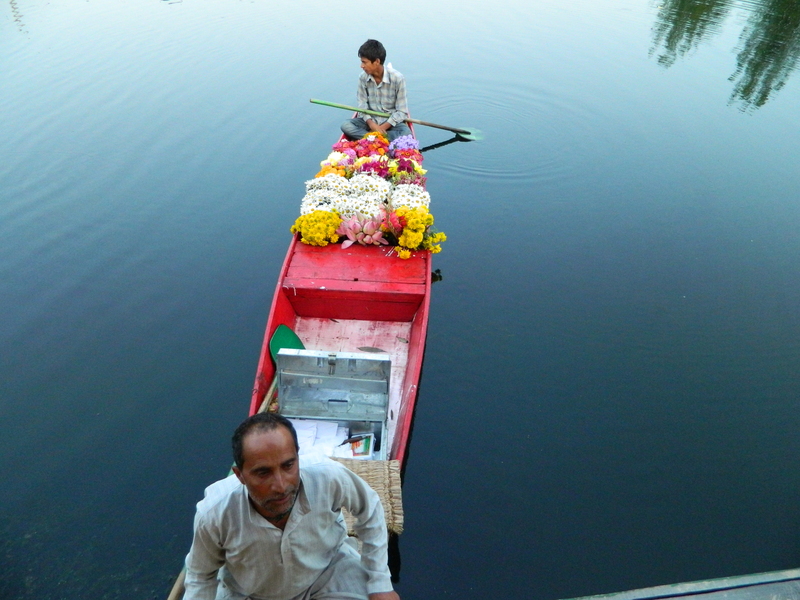 We reached our Houseboat on a small Shikara in 10 minutes from the coast. 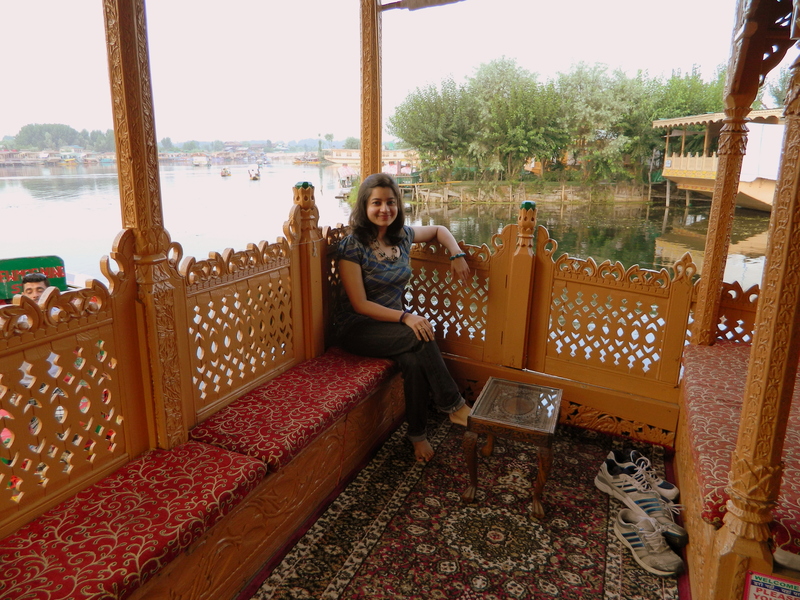 The houseboat had beautiful interiors wooden walls decorated with carved paintings, whole floor covered with the carpet accompanied with peculiar noise that happened with every single step as the Houseboat tilted in a up-down manner on the water. These houseboats are equipped with all the amenities and are luxurious with space. After having sumptuous dinner we fell asleep with the surreal music of water moving in the backdrop. In the morning too, the soothing sound of water woke us up. 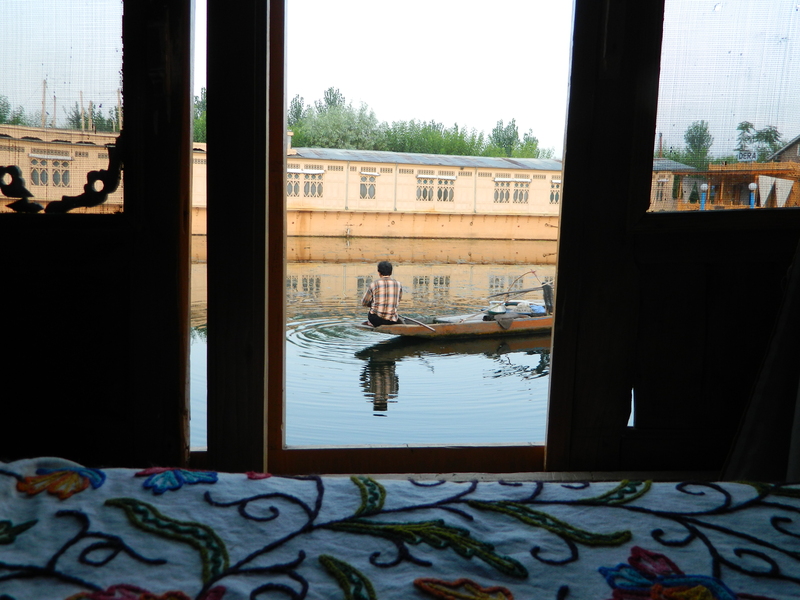 The view from our houseboat window was mesmerizing as well as thought provoking too. The man carrying dairy items on the boat, then there was another boat selling plants and seeds, seemed like moving retail shops. 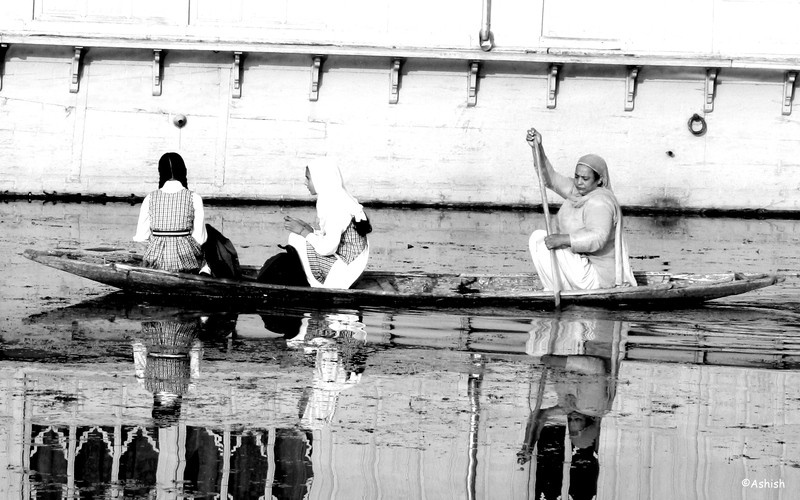 Still waters of Dal Lake narrate myriad stories that will leave reflective impressions on your heart. People were fishing or just moving around on boats, there was so much of action happening but still the Lake was musingly quiet. And we loved every second of it. The expression that the people manifested was pensive. One sight which left me spellbound was mother taking her kids to school on a boat. There was something about this moment though it’s difficult to express in words or capture in a camera but I would still like to share that moment here. The whole Lake was lit with flamboyant lights and was exuding intense energy. The decorated houseboats, floating market, floating garden and boats approaching you for selling jewelry were a different experience all together. You can plan 7 – 10 days tour to include Pahalgam, Gulmarg, Sonmarg and Yusmarg. Yeah, quite a different experience. Dal is indeed enthalling. I have been there and want to be there again and again. Thanks for dharing. I feel like working on a trip that side. I wish I could go right away. Those are images to treasure. Lovely pictures; all of them. 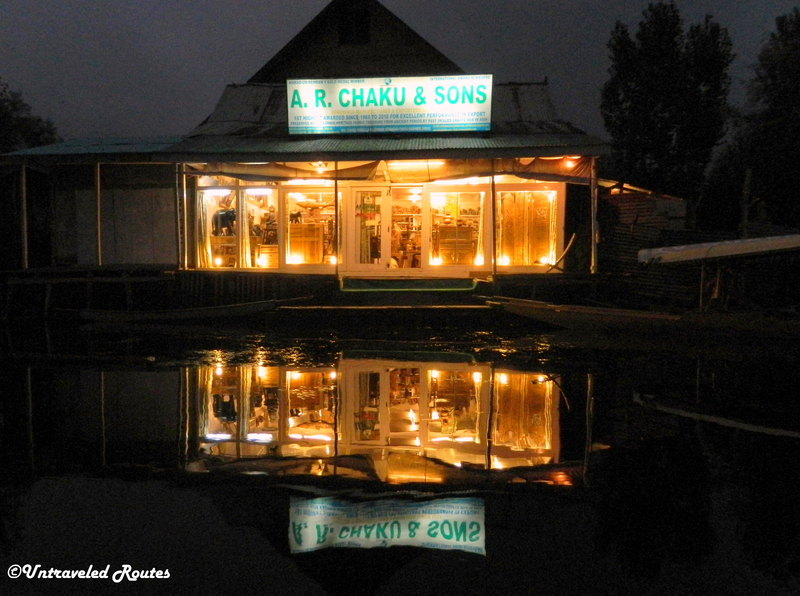 The pic of the shop and its reflection is amazing. Beautiful. Did you try the local cuisine? Have been to Srinagar many times for my official work, no doubt that Dal is soul of Srinagar but disappointment with the cleanness of it. Hmm, that’s a dampener. 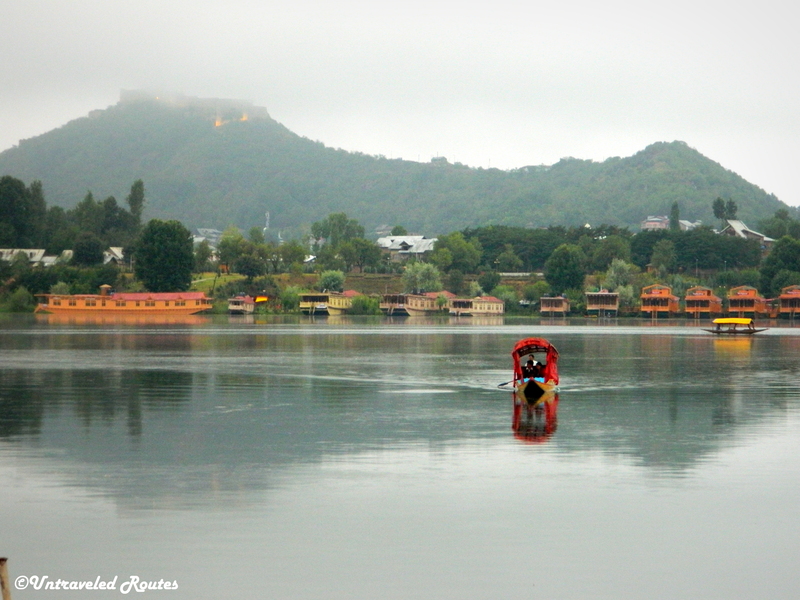 Dal Lake is such major attraction but not maintained that well. 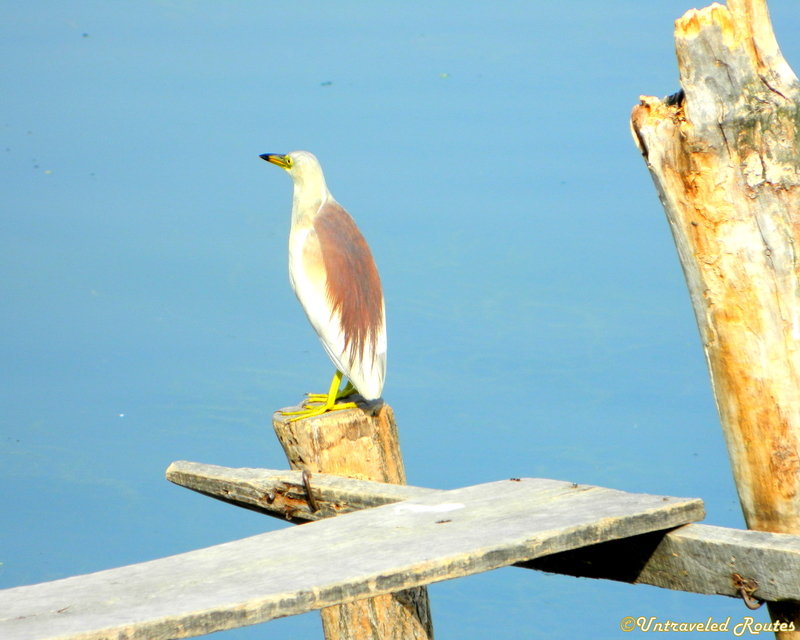 Infact Nagin Lake was much cleaner. There is also a Wular Lake in Bandipora district which is supposed to be one of the largest fresh water lakes in Asia. Yeah floating market is quite interesting, though you gotta bargain a lot!!! The boats seem to be a lifeline of the entire area. Scenic beauty is indeed mesmerizing there. Absolutely….boat is the primary form of transportation. 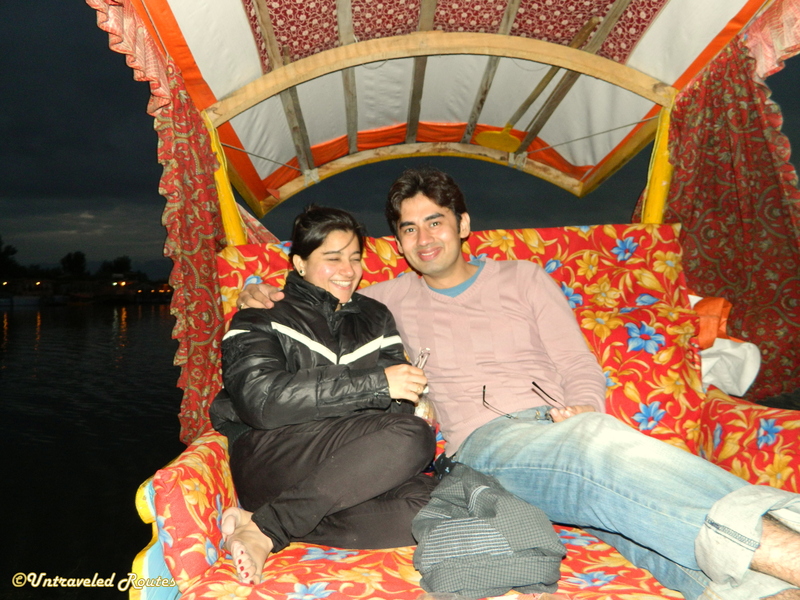 The Shikara Ride is truly wonderful enabling one to enjoy the beauty as much. 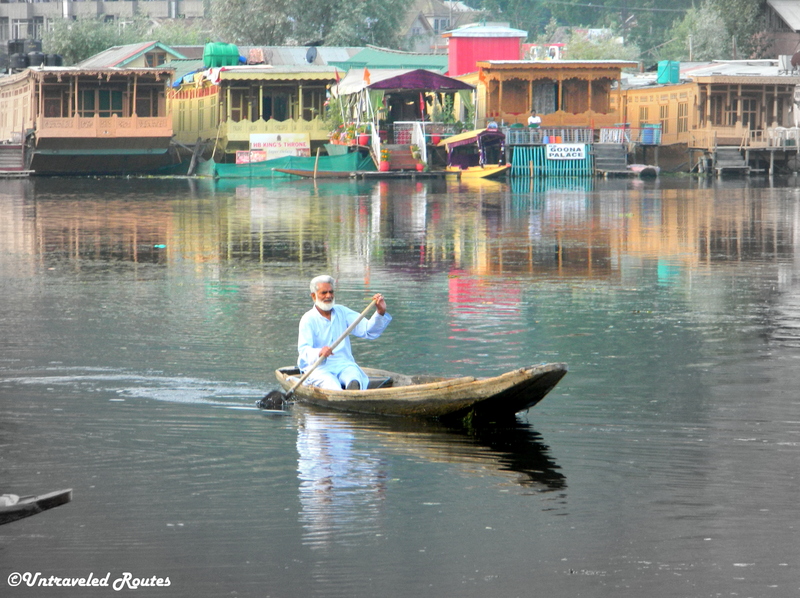 Dal Lake is always fascinating and your shots proved it again. 🙂 Nice post! Nice shots.How about getting vegetarian food there? Love the romantic shikara ride photo so much. Reblogged this on Untraveled Routes.